With his early releases as part of the discernable MINUS crew, to his own label RUKUS, Matador has been a creative force in techno for over a decade. On top of the relentlessly rolling releases and remixes, he's been a flagbearer for live electronic music, combining Ableton Live, Traktor and a whole ream of hardware to create unique and captivating club moments. We caught up with him to discuss how his show works, the limitations of 'live' and what's next for club culture. 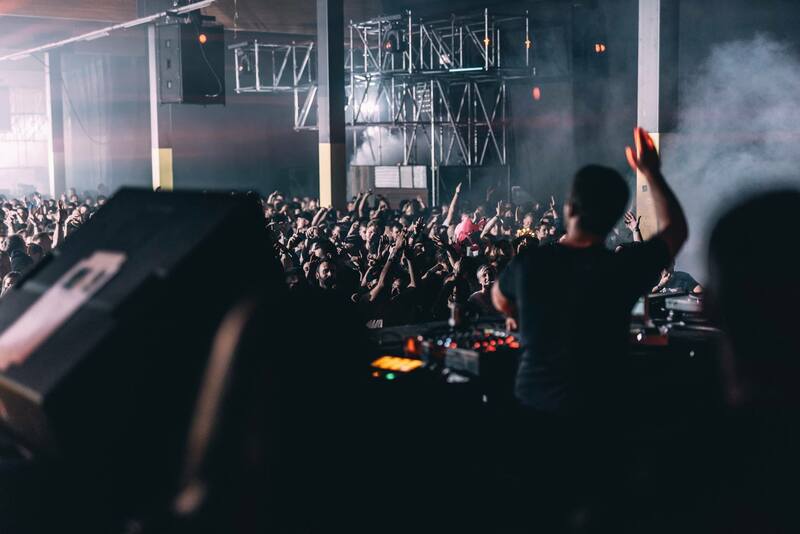 If you like what you hear, catch Matador at Printworks London on March 23rd for Amnesia presents Pyramid alongside Tiga, Kölsch and Ilario Alicante. What made you want to play live beyond just DJing? "Well, I came from DJing into the live thing unintentionally really. When I met Richie [Hawtin], I joined the MINUS crew and I was guided towards playing live, which made sense as I was about to release ten tracks over two EPs ['Kingswing' and 'Spooks'] and touring that music as a live act made total sense." What were the biggest challenges in putting your live show together? "A solid stable setup was paramount. after that, what was practical to tour two-to-five days per week, 50 weeks of the year, equipment-wise. After that, what was fun to use and express everything in the best possible way." "My new setup for the forthcoming live show is driven mainly by analogue gear. It's a couple of Macbook Airs, [UAD] Apollo 16 soundcard going into a [PLAYdifferently] MODEL1. Synths include [DSI] Prophet-6, Moog Sub-37, Mother-32 and DFAM, Roland modular stuff along with other modules. There's also a Roland TR8S, various FX, sequencers and MIDI controllers." What do you think is behind the current rise in live electronic music, with both more artists playing live and more tech companies creating kit specifically for live performance? "I think the demand is there because people want new experiences now more than ever. Expectations are high and variety is essential for new generations coming through. I think it's a healthy thing that pushes artists outside of their comfort zone, myself included!" What are the creative limitations of playing live? Would you recommend alternating between DJing and live to keep things fresh? "I've gone back to DJing in the past 12 months, purely to give myself a chance to breathe and regenerate a new live show. I've gone almost six years straight doing the live thing and before that I was DJing for ten years, so it was a welcome return to something I love doing. DJing was the whole reason I started this journey in the first place." "I think it's a healthy thing that pushes artists outside of their comfort zone, myself included"
Does a dancefloor feel or appreciate the effort that goes into a ‘live’ set in your opinion? "I think so, especially if they can see it. A lot of the magic is lost if you're tucked away in a little dark corner – however nice that is sometimes – it's not maximising the ‘effect'. So to get the best out of your live show, it's so important to ‘frame’ it accordingly, present it in the best possible light, both visually and audibly." What would be your advice for a producer wanting to take their music live? "Get a full body of work together first. If the music is working in a DJ set, if it's all working together, getting the responses u want, then start thinking about putting it together as a live set. It takes a lot of work and time to prepare, so you want to make sure all that time is worth it, and you have some amazing music in your bank to justify what you're doing." As the lines blur between what ‘live’ is – running a drum machine alongside a DJ set, or a full-blown laptop-less hardware setup – what do you think is next for performance in the club? "I've had all sorts of setups in front of me, and I've seen people label things ‘live’ quite a lot, but for me live means one thing: playing all of your own music in some capacity, whether your partially playing instrument sections, or hitting the space bar and playing with effects and knobs, to having individual musicians. Whatever you do, once the people are getting an experience, dancing and loving it, and you're enjoying it, that's all that really matters."